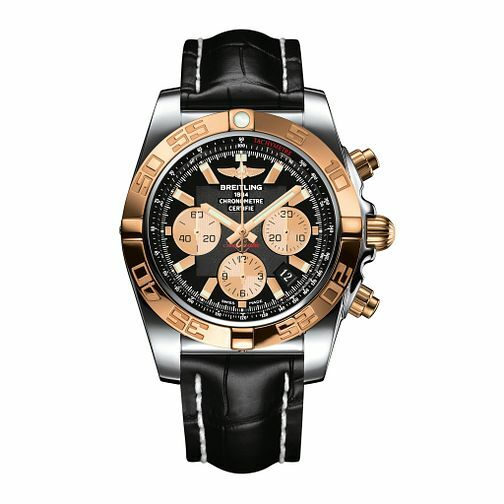 A two-tone timepiece by Breitling, this watch is created with 18ct Rose Gold and Stainless Steel, this smart wrist-watch boasta a chronograph feature and being chronometer rated. A polished rose gold case presents a classic black dial with matching rose gold features, such as the hour markings and three hands. A helpful date display is also positioned between the 4 and 5-o-clock markings. This watch is water resistant up to 500 metres.